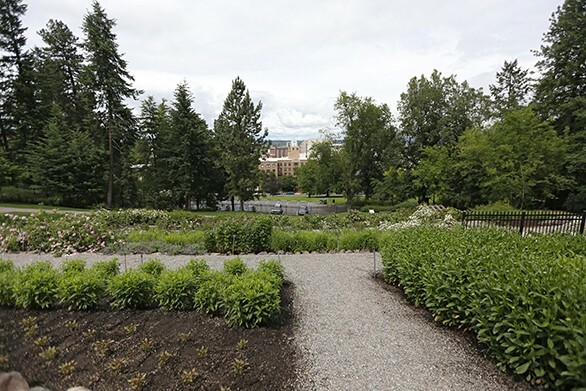 This week, Chey Scott explores the history of the Moore-Turner Heritage Gardens on the South Hill. 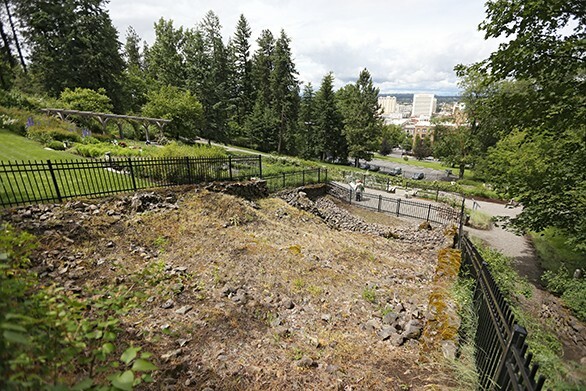 Lost for decades, parts of the gardens were discovered after the ice storm in 1996. 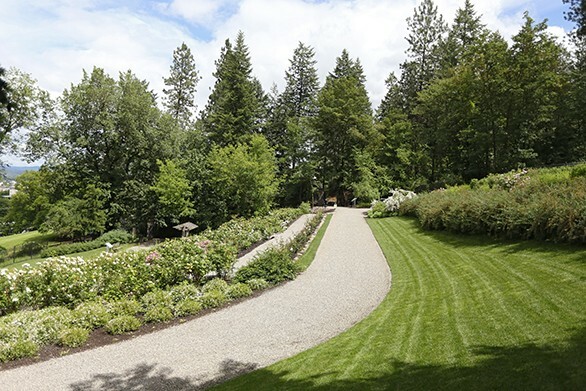 After a 10-year restoration, spearheaded by then Corbin Art Center Director Lynn Mandyke, the gardens were open to the public. Photos by Young Kwak. 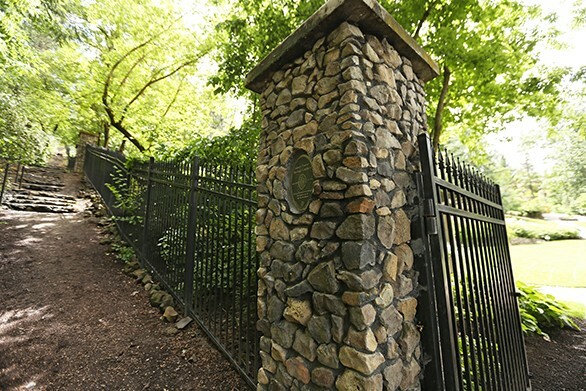 A walkway that once gave residents of the South Hill access to downtown runs along the entrance of the garden. The carriage road circles parts of the lower areas of the gardens. Various flowers grow in the carriage road garden. 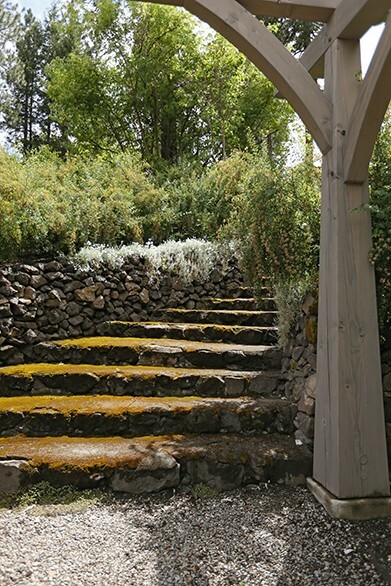 A staircase leads to the pond at the top of the gardens. 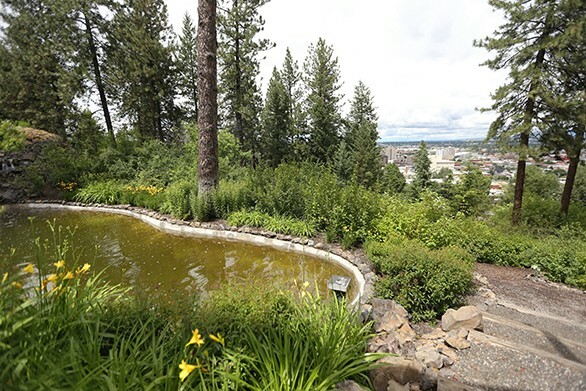 The pond area at the top of the gardens gives an uninhibited view of downtown. 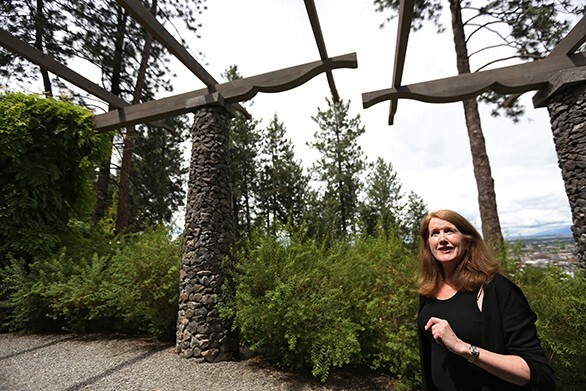 Lynn Mandyke speaks under the restored pergola in the pond area. 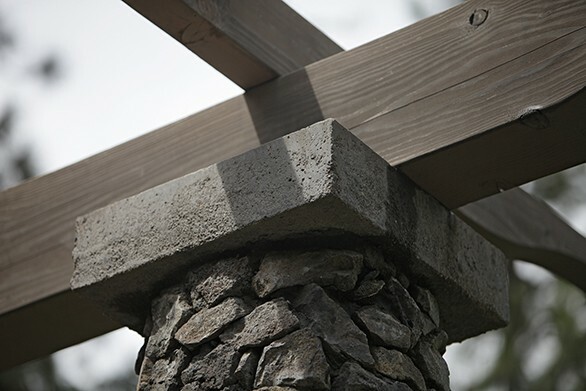 A detail of the pergola is photographed. 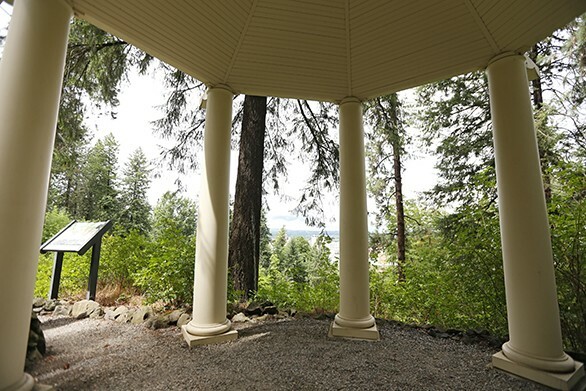 The tea house also gives a view of the downtown area. 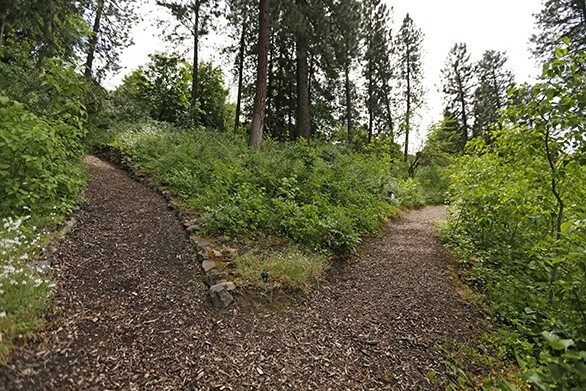 Trails lead visitors from one area of the gardens to another. One area that couldn't be restored was the conservatory and greenhouses. Detailed plans could not be found for that area, so it remains an empty plot of land. 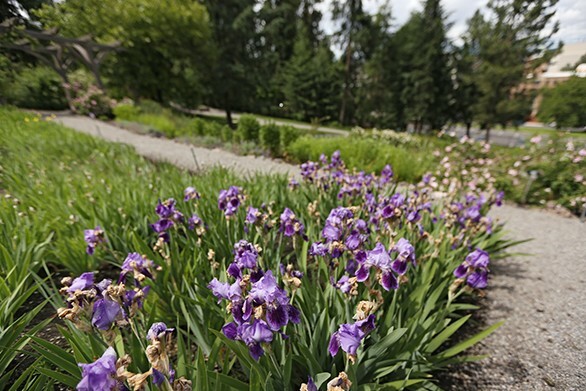 Irises are in bloom at the gardens. 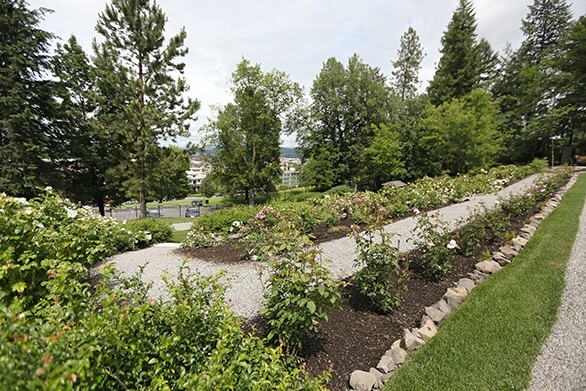 The gardens provide many views of downtown. 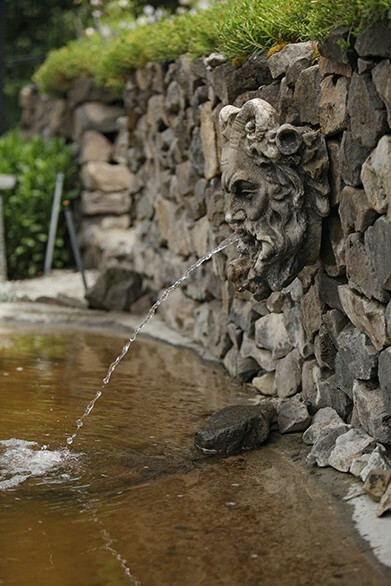 The Mask of Pan fountain can be seen in the middle of the gardens. of the speed of sound. It is exhilarating to be sharing the road with you! you think you know, make sure you are correct in all your assumptions! sorry I waited so long to come to you, but know I will always love you. June 20th, around 4:30. You wore a Chiawana shirt or sweatshirt and shorts. I wore a WSU sweatshirt, and I think we glanced at each other for a moment. I saw you 6 months ago today and you told me to never change my mind!! enough for coming into my life and being exactly what I need and deserve. feeling It's going to be wonderful! that I can cross! It is your job to stop for me. I have the right of way. of travel, and includes the entire width of a one-way roadway.